For Bloomberg support, look no further than their Help function. 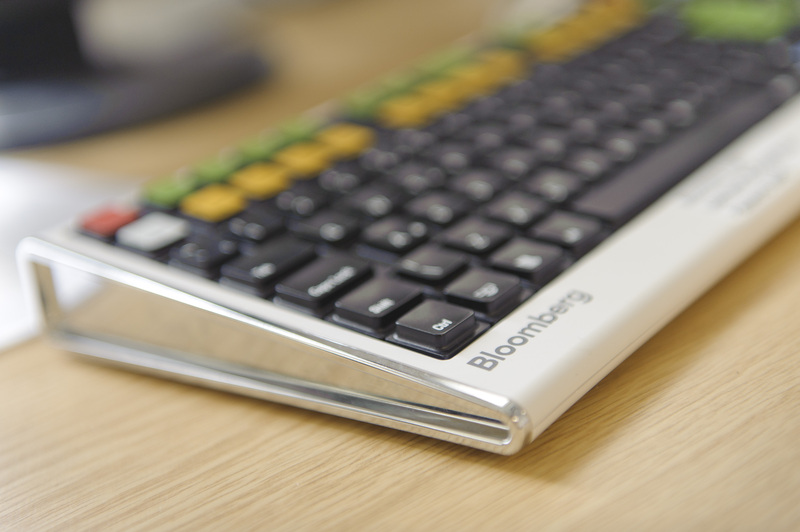 For access, hit the Help (F1) key once on the Bloomberg keyboard. Help is highly customised and should display support tailored to the function you were using at the time. 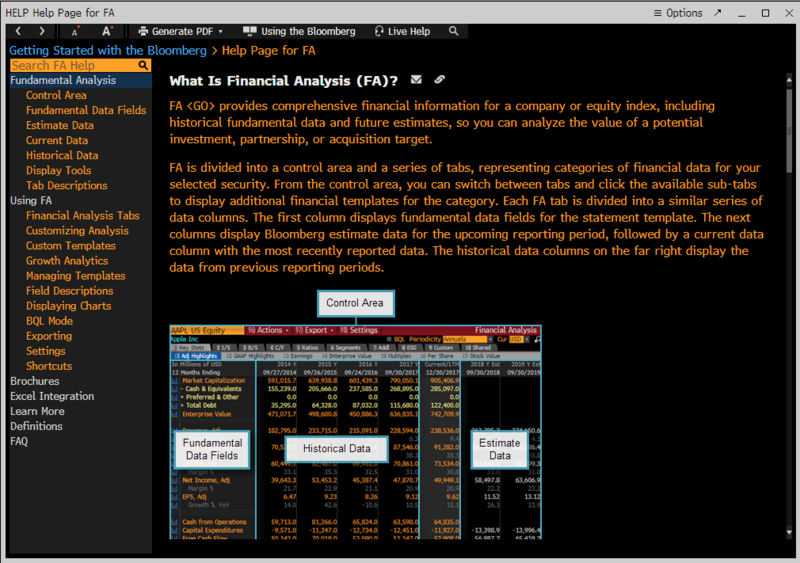 Here I have been using FA, Bloomberg’s Financial Analysis pages. Their Help pages provide comprehensive guides to both data and system functionality. Use the links on the left to navigate between sections. 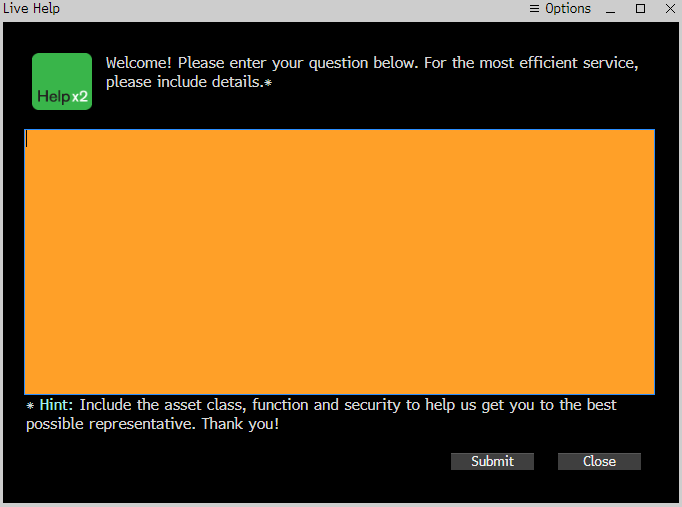 If the function’s Help page does not answer your query, you can hit the Help key twice in succession to submit a question to the Bloomberg helpdesk using the email form. They will aim to get back to you with an answer within 48 hours. If you have any questions about Bloomberg please don’t hesitate to contact us.